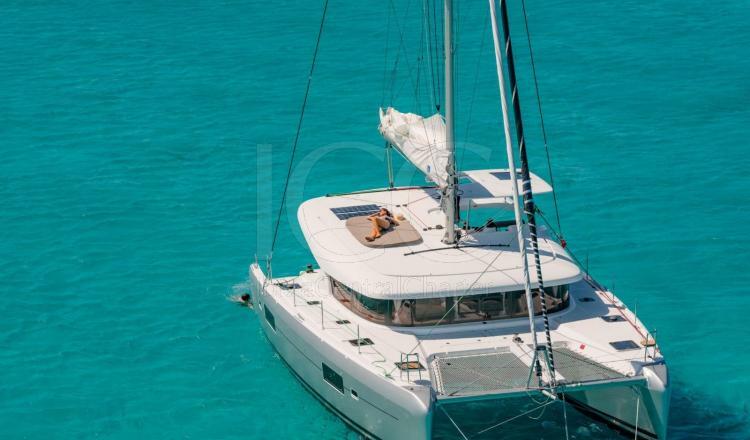 Lagoon 42 combines exceptional comfort with commendable services, located in Club Náutico de San Antonio. 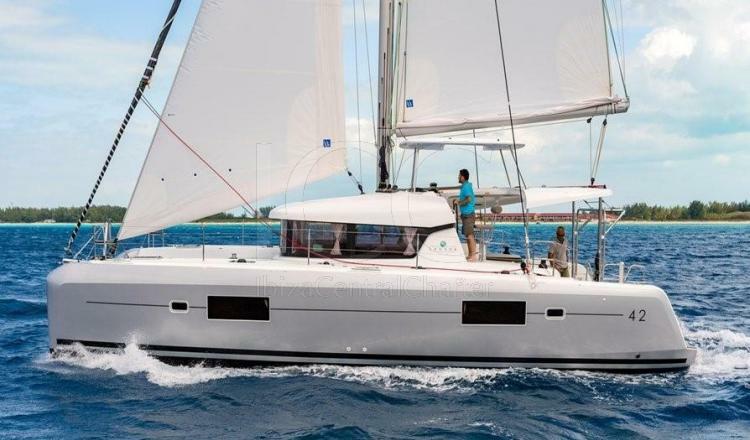 The Lagoon 42 has a detailed design, offering enough space for a group of 11 people to enjoy a day of charter comfortably. The cabin has large vertical crystals with panoramic 360º views that facilitate the entry of natural light and at the same time allow you to enjoy the beautiful landscapes from the inside. 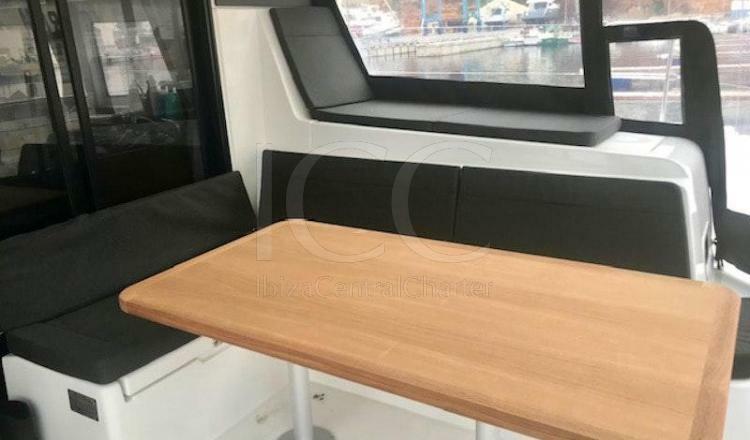 It has a full kitchen with hob, oven, sink, refrigerator and plenty of storage space, so enjoy a delicious lunch or dinner aboard this catamaran will be extraordinary. 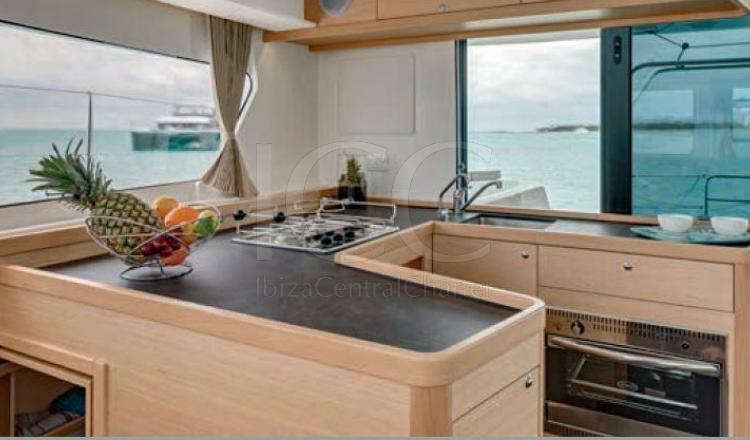 It has 4 cabins: the main cabin has plenty of light thanks to the hatches that allow the entry of light and is equipped with a double bed, a dressing table, a library, a sofa and a lot of storage space. In addition, it has a private bathroom with space for a separate shower. 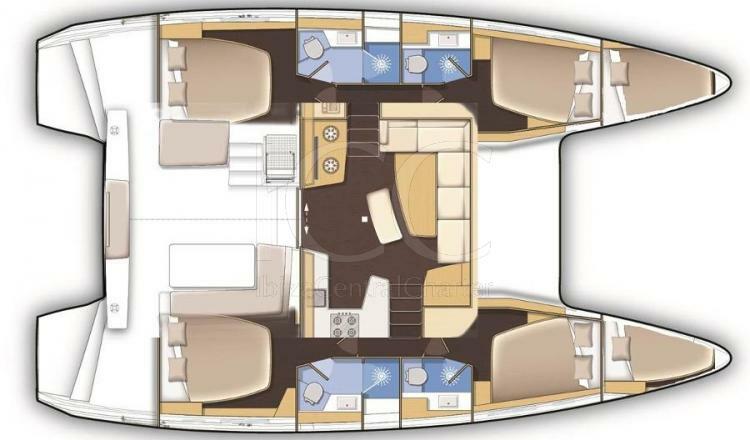 The other cabins are also very bright and have a double bed and a private bathroom each. 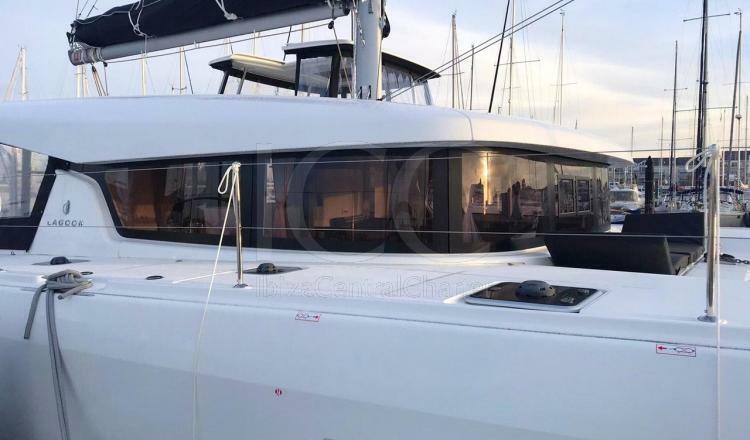 Outside we find a deck with wide walkways that allow an easy displacement by the boat, as well as numerous handrails that guarantee safety on board. 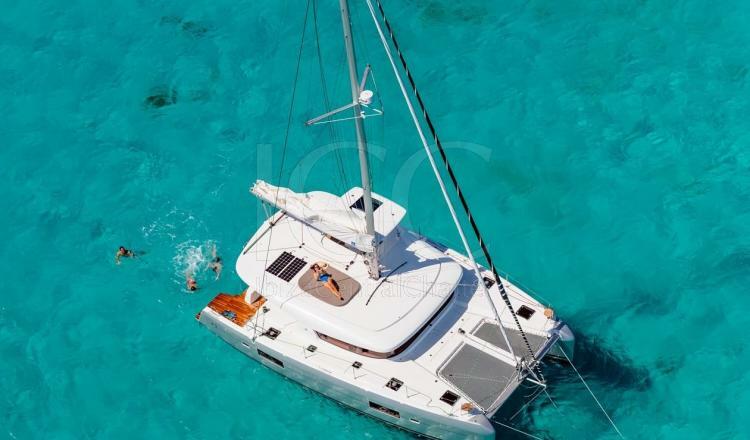 In the bow it has perfect nets to lie down and enjoy the waves while sailing, while aft you can rest on its comfortable sofas with a table and enjoy a snack as the bathtub and cabin are on the same level and It becomes a single space thanks to the sliding door divided into 3 parts to maximize the opening. 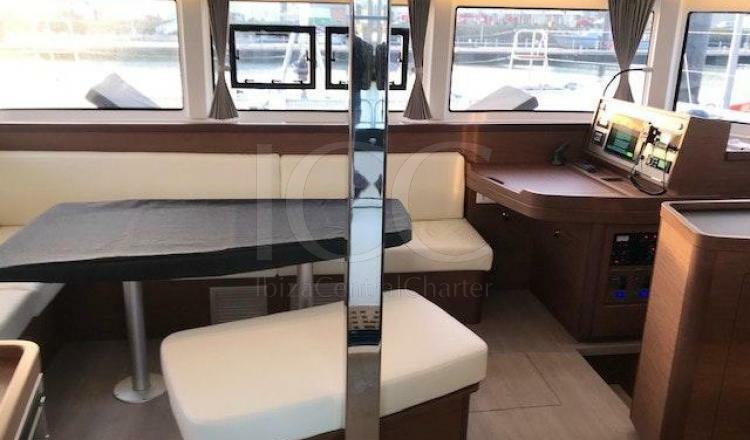 In addition, the control post improves the circulation of the terrace since it is at a higher height and gives direct access to the flybridge where you can enjoy a spectacular solarium. 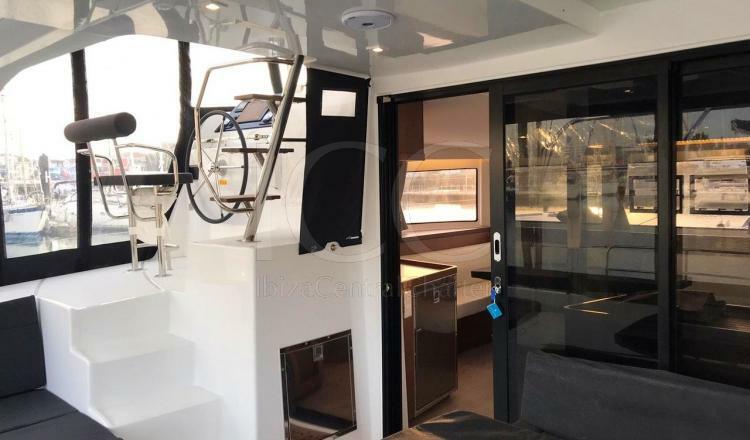 The Lagoon 42 has a rear platform and wide steps for greater comfort, which will become a fun area of ​​entertainment and give access to the dips. - Maintenance of the employer.